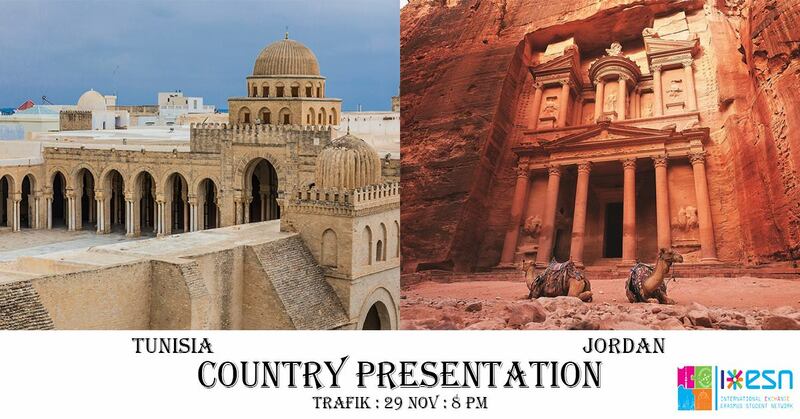 We would like to invite you to our third Country Presentation this semester. This time Tunisia and Jordan will be your hosts! You will see a short presentation about the countries, you can try your knowledge through quizzes and you can try various dishes and drinks from the local cuisine at the food tasting.